This morning we slept in until around 9 and then went upstairs for the breakfast that we had missed yesterday morning. Everything is prepared for you after you come up and sit down, and you can dine with other tenants while you wait. 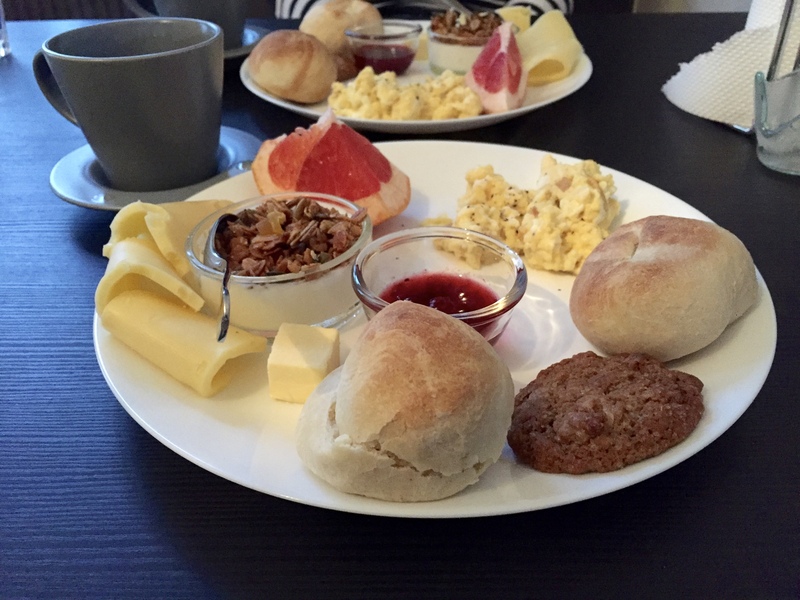 We were made scrambled eggs, home made little biscuits (I saw her making the dough myself! ), fresh cheese, I think it might have been gouda, a slice of grapefruit, an oatmeal cookie and some plain yogurt with crunchies on top (granola and dried fruit). 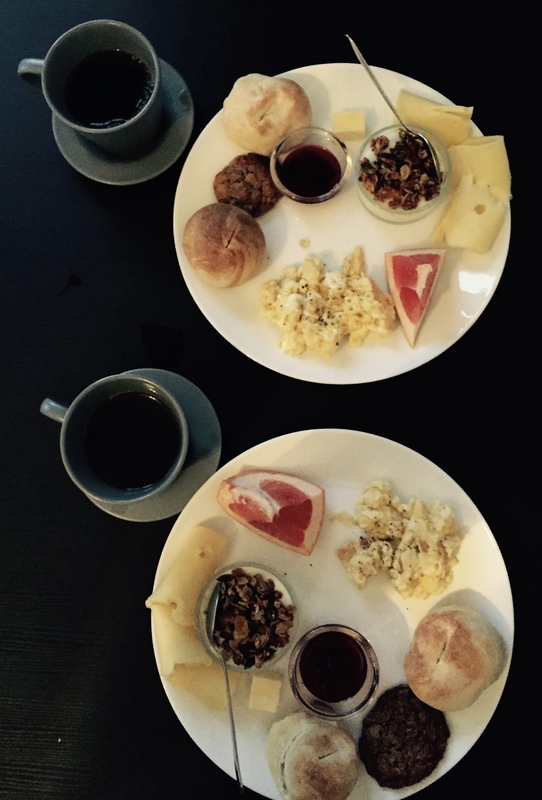 It was the perfect little breakfast! After breakfast we went back down to our apartment and lazed around. I actually immediately took a nap (it’s a very dreary day so it’s perfect napping weather). The wind gusts here are very strong and it’s sleeting, but no one seems to mind and there is still quite a bit of foot traffic around! 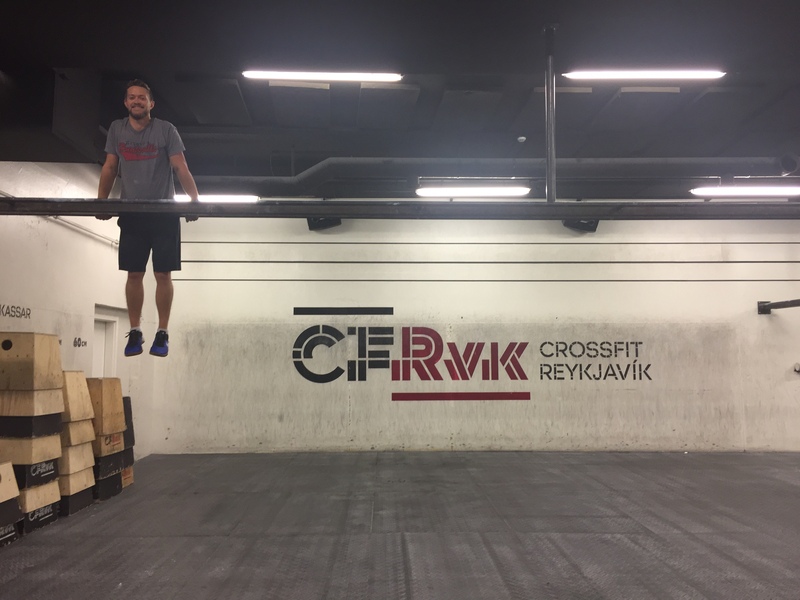 At about 11am we decided to brave the weather and go get a workout in at Crossfit Reykjavik. 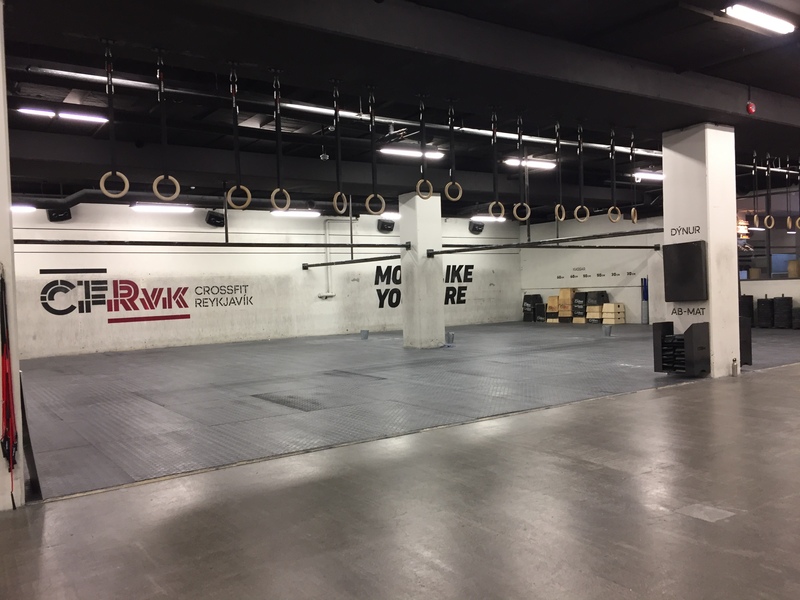 This was most definitely on our to do list when planning this trip because this is the home gym of several Crossfit Game’s athletes and winners and Crossfit is very much a community sport, so dropping in while traveling is not only fun, it’s a special thing to experience! The drop in fee was 25 each, and you just signed in and they let you back! Very nice facility and a large staff. They have a beverage bar (seen below) and hot and cold tubs though we didn’t try those. The only thing missing from this experience was seeing Annie- she wasn’t there which I must admit, was disappointing. However, our coach Inca (I am not sure if that is how you spell her name) was awesome and very welcoming. 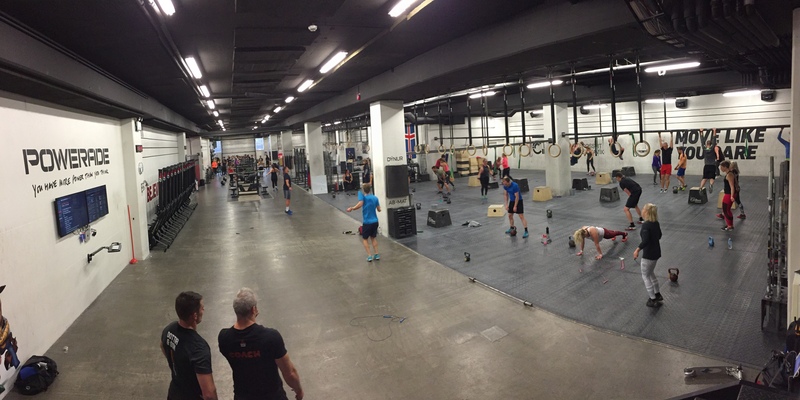 For reference, the size of this place is no bigger than Crossfit Huntsville, just laid out much differently. It’s set up to host about 4 classes at a time, just in staggered phases. 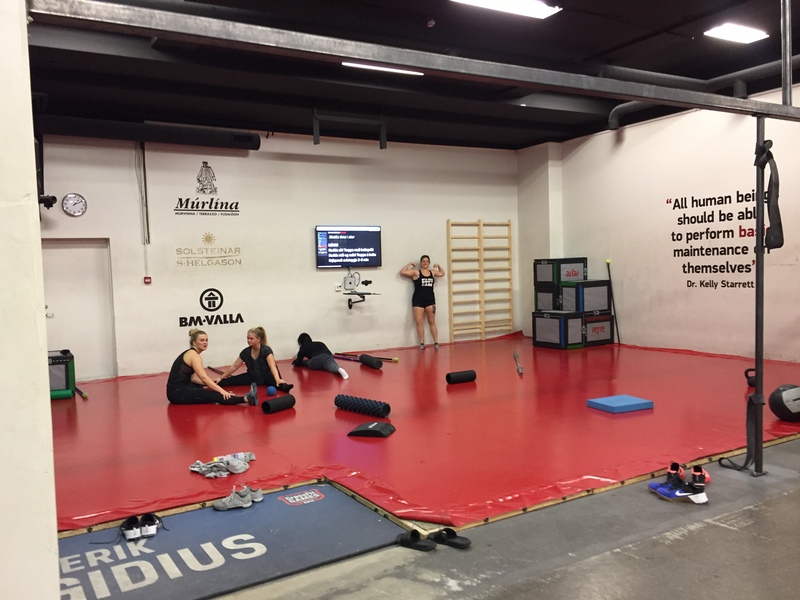 So your coach will begin your class in one of the “Quadrants” and you go though general stretching, warm up, and drill technique of all of the moments that are programmed in the workout. Then you move into a different section for the strength portion, and then back to your quadrant for the WOD. 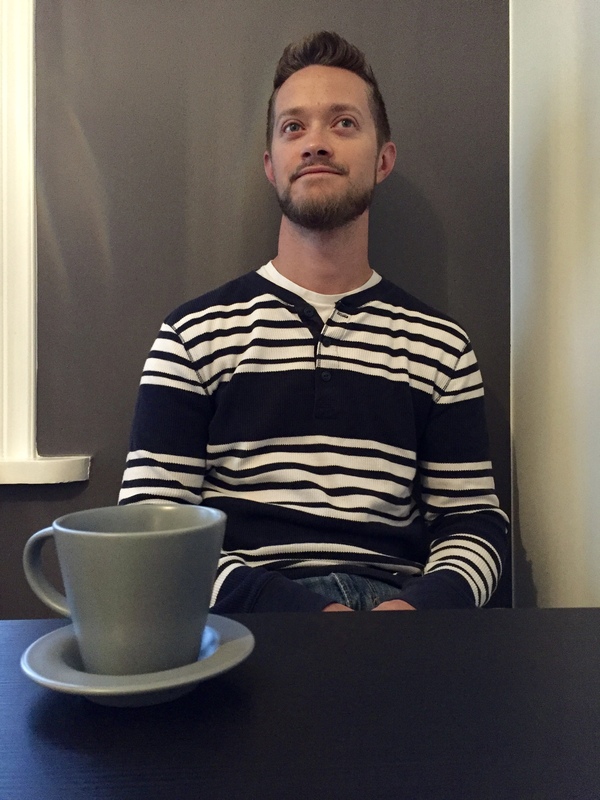 It was awesome to be coached in Icelandic, and believe it or not, was extremely easy to follow along. 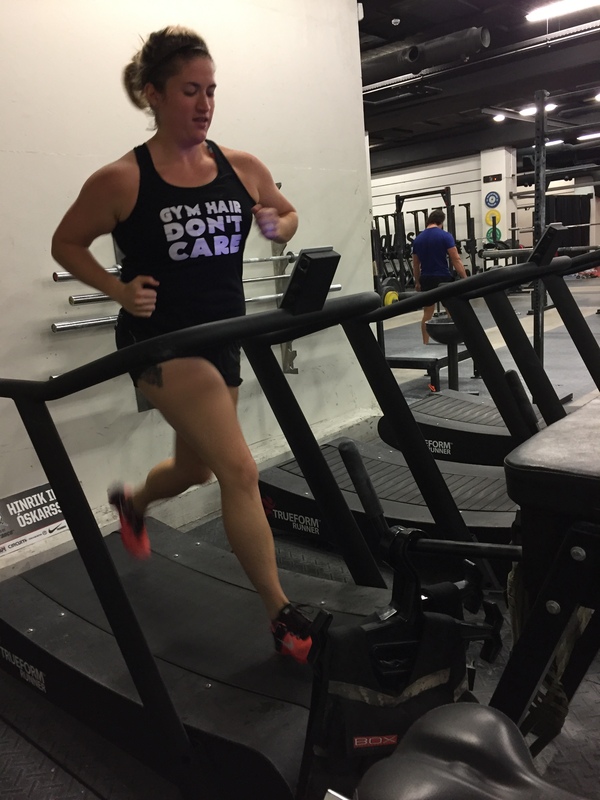 If you’re a fairly experienced Crossfitter, you can follow the cues and pretty much understand what’s being communicated. We were upfront so the coach could then clarify in english but mostly it wasn’t needed. 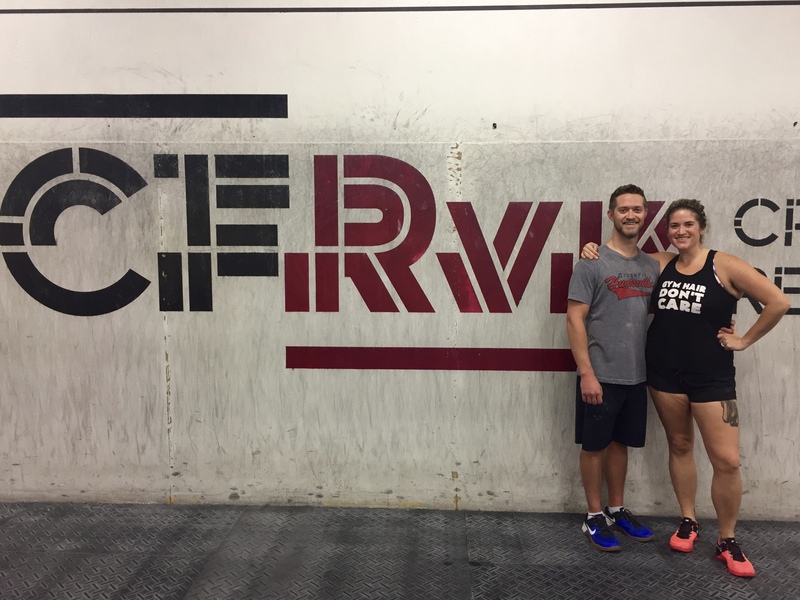 She demoed all of the movement much like we are used to at CFHSV- Crossfit is like a universal language I think. It doesn’t matter where you are, it’s all the same which is a total relief. I had been a little nervous about this drop in because of re-injuring my back about 8 weeks ago, which has not really changed much even with a lot of rest since then. So, I’m still in a fair amount of discomfort and actually had not worked out at all in about two weeks, but did not want to miss out on this chance. I explained this to my Coach and she totally understood, and helped me scale some of the moments so as to avoid irritating it further than it already was. I modified the WOD, and then actually stopped after 10 minutes during a 14 minute amrap, and just told her I had probably done enough, and she smiled and said good job anyway. 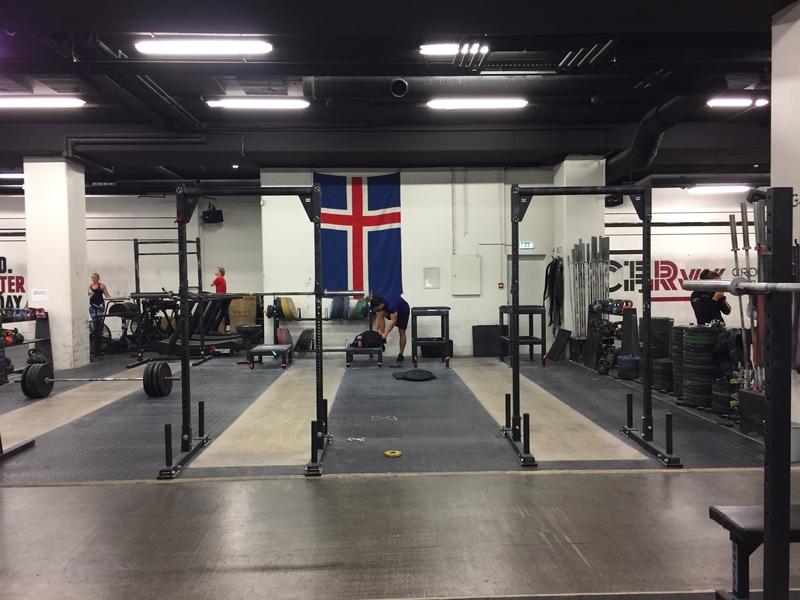 🙂 During the strength portion I walked to a rack (trying to be a little invisible) and one of the regulars walked over to me and in Icelandic asked “Can I work out with you here?” To which I blurted out “Hi, I’m American!” So she smiled and then in english said, “Okay, can I still work out here with you?” So if you’re ever worried about dropping in somewhere, don’t. 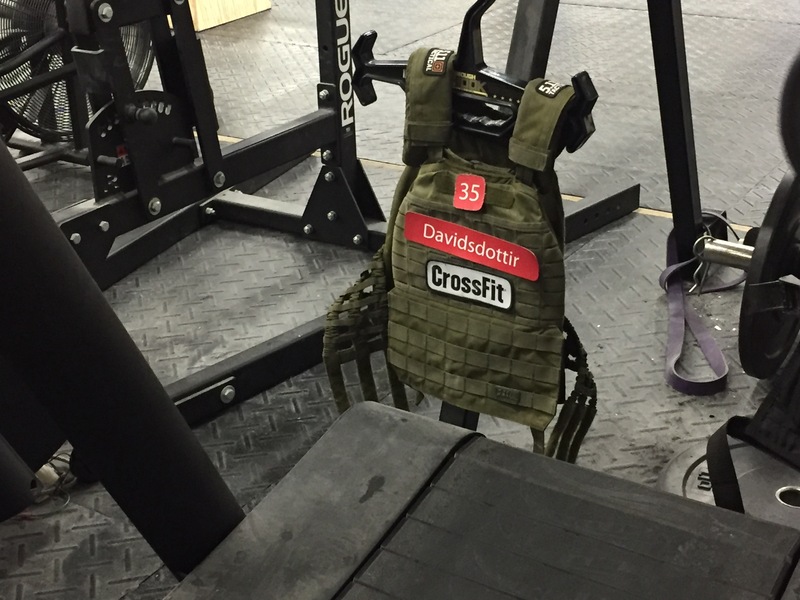 They are crossfitters just like you. And a big smile goes along way. 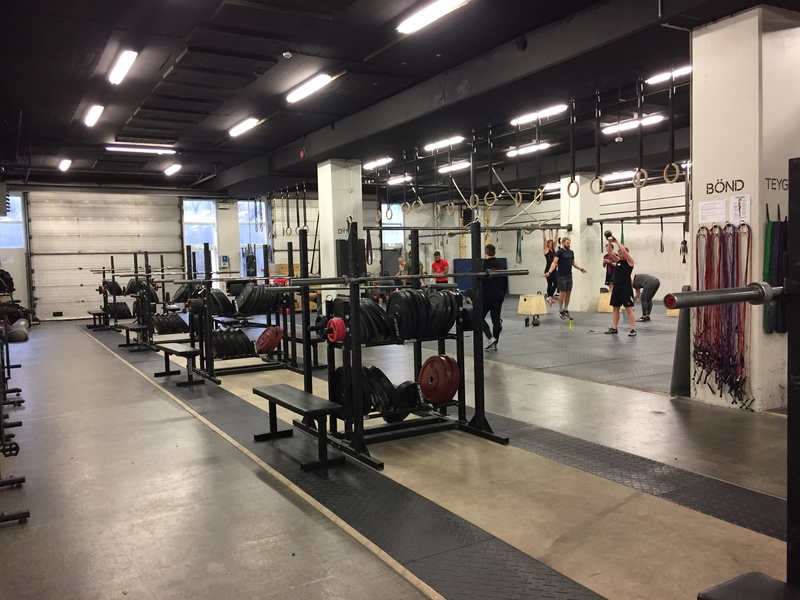 This area was designated as an olympic lifting area only much like our lifting platforms in the perimeter of CFHSV. This was a really cool space for muscle work, stretching and rolling out. The floor was a squishy mat material like you would see in gymnastics so you would take your shoes off. 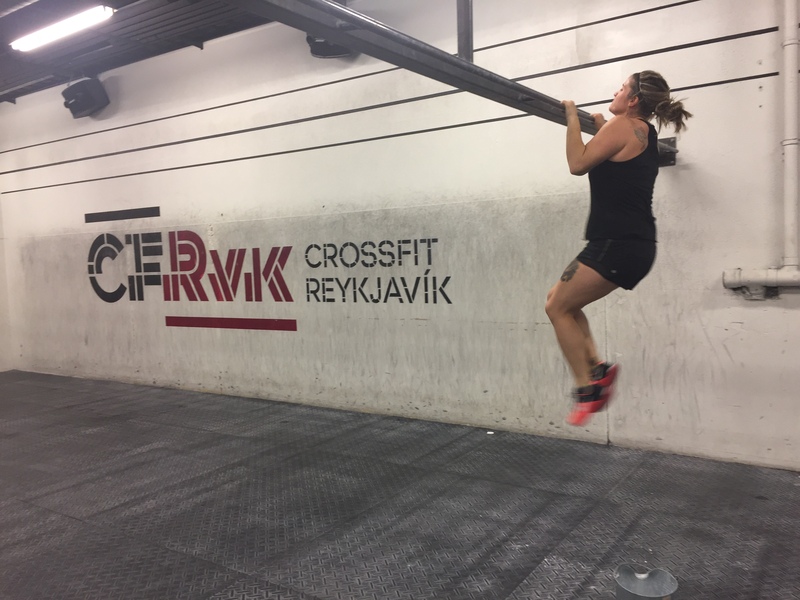 After the WOD, there is actually a coach led cool down/stretch accessory and then you can hang around and do whatever you need to. I am acting goofy in this pic while rolling my glute around on lacrosse ball. Also, “Sweet Home Alabama” played in the gym during out workout. Can’t get away from that song no matter where we go! Spied Katrin’s vest from the games just casually draped over a rig. They also had the belt driven “treadmills” and ever since they brought these out in the games a few years ago I had wanted to try one. They are funny to get used to at first, but really cool and actually prevent you from jogging- if you want to use this and keep a pace, you have to run with a very long stride which I imagine, is the entire point. They also act like a fun house illusion mirror and make you look like something you’re really not. Like a runner. (I am keeping a close eye on my feet here because if you take one funny step, you’ll face plant because the belt reacts from the input of your movement). Then we had to take the obligatory show off pictures. 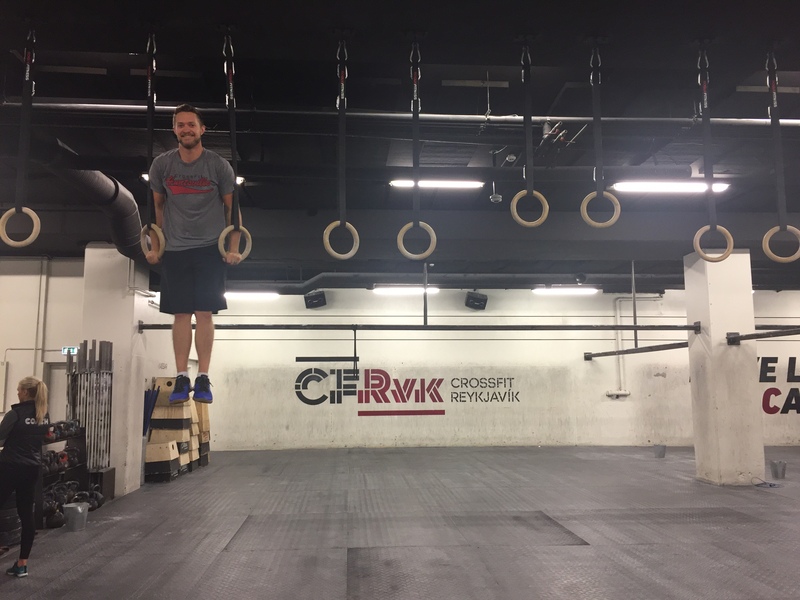 Rob did muscle ups! And more muscles ups! Here I am not doing muscle ups. 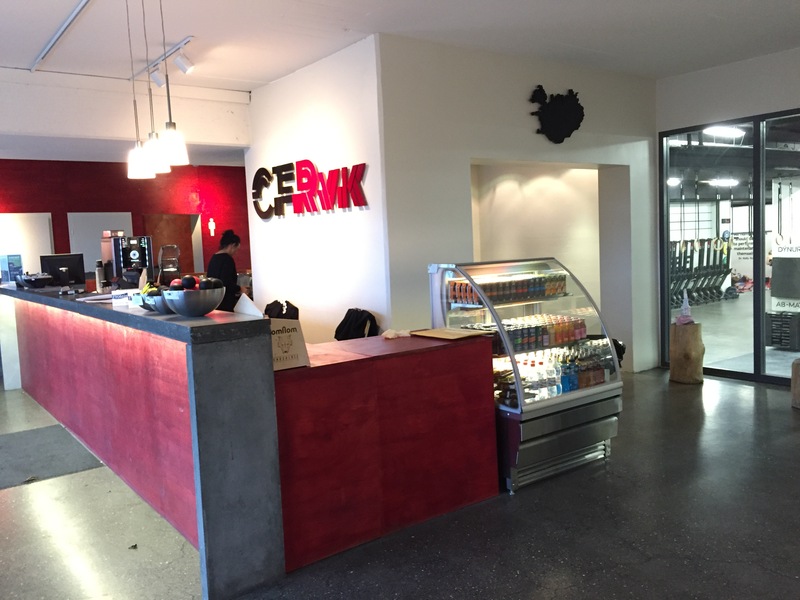 Big thanks Crossfit Reykjavik! We had a great time. 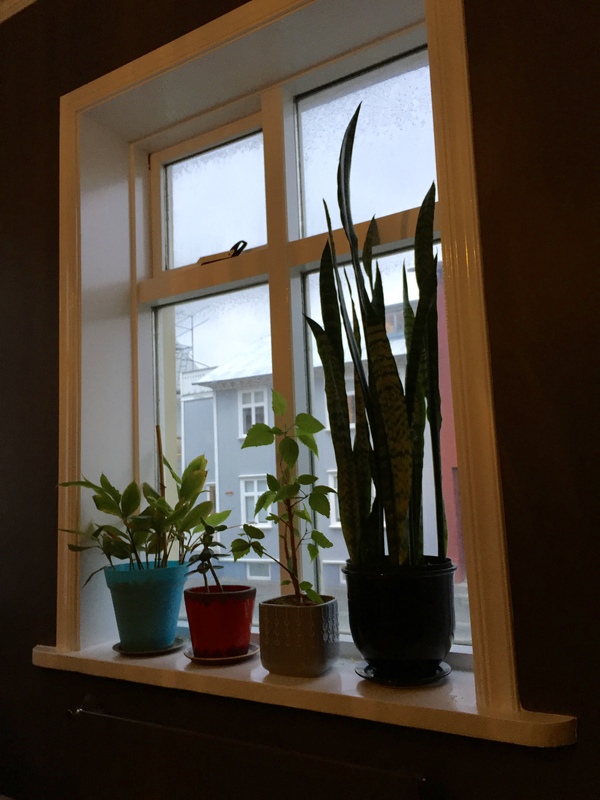 Next Last night in Iceland, Forever in my Heart. Great post. Sounds like an amazing gym!